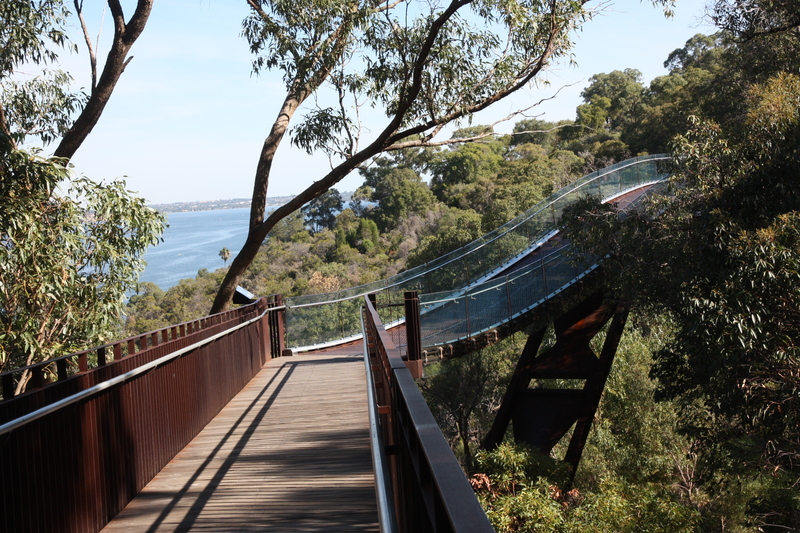 Check out Perth’s grevilleas and Federation Walkway | Where to next? We had a brief cruise through Kings Parks and Botanic Gardens on the first day we were in Perth, and saw that it’s as beautiful as ever. But so many people recommended that we take a stroll along the new-to-us Lotterywest Federation Walkway, that we set aside most of an afternoon to do exactly that. And we’re glad we did. The walkway, which opened in 2003, has a combination of on-ground pathways and long expanses of elevated sections. The showpiece is a spectacular 52-metre-long glass and steel arched bridge that rises 16 metres above the gardens. It takes about 40 minutes (unless you’re stopping every five steps to photograph the flowers or the views) to walk the 620 metres of path. As you may have guessed, we took much longer. While there are plenty of great views of Perth City, the Swan and Canning Rivers and the Mount Eliza escarpment, I’m partial to the native plants. So for me, the grevilleas and their closely-related hakeas were a highlight. Grevilleas are evergreen flowering plants in the protea family Proteaceae. They are native to Australia, New Guinea, New Caledonia and Sulawesi (Indonesia). 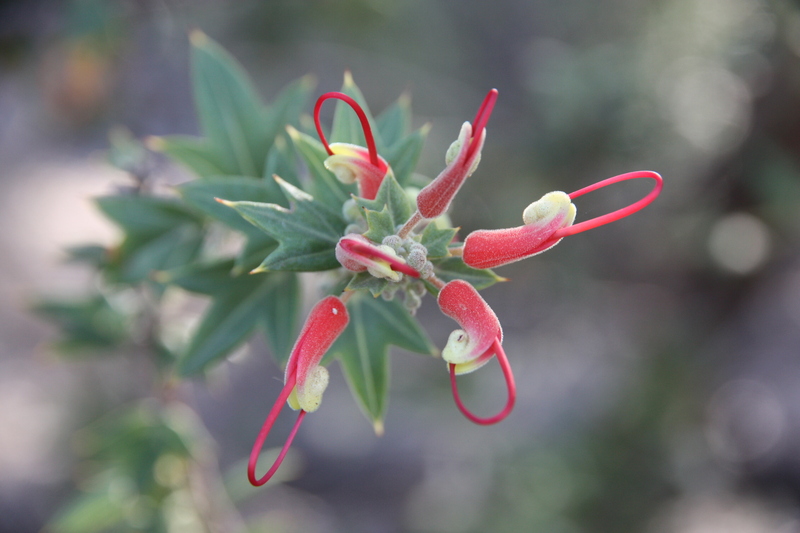 Aboriginals favoured the sweet nectar in grevilleas. It was the original bush lolly (sweet) and could be shaken into the hand or mixed with water and carried in a coolamon (a shallow carrier). Today Coolamon is also the name of a winery. How appropriate. I also liked the information boards, especially the one describing the six seasons of the Nyoongar people—first rains, second rains, wildflower season, first summer, second summer and autumn season.